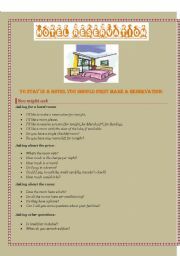 "Where there is a will there is a way"
3 pages on how to reserve a hotel room. includes useful phrases, a sample and a role play activity. 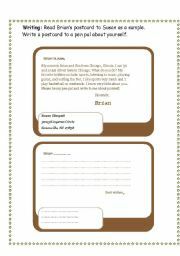 Using this worksheet, you can introduce postcard and pen pal to students and ask them to write a postcard as a practice. 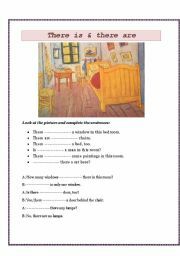 By this worksheet you can practice there is and there are, using the picture of Van Gogh�s bedroom. 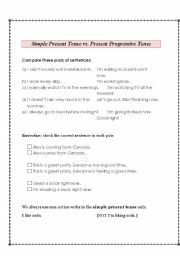 This is a good worksheet to show the difference between the simple present tense and the present progressive tense.